BEDFORD (WSLS10) – The Bedford County Sheriff’s Office is spreading the word to buckle up. The new ‘Buckle Up Live Better’ initiative comes after an increase in deadly car accidents where people weren’t wearing their seat belts. Sheriff Mike Brown said he hopes this effort gets repeat seat belt violators to think twice. Sometimes people forget to click it, but not Montview native James Crouch. Unfortunately, Crouch knows this pain. Six years ago on Route 24, his granddaughter was involved in a serious crash. “She made it, but she’s crippled from it,” said Crouch. Crouch said the seat belt saved his granddaughter’s life, which is why he’s helping the sheriff’s office spread the word on a new initiative. “We’re going to be in everybody’s face with this program because we don’t like to see people killed in accidents; we definitely don’t want to see people who for the lack of wearing a seat belt have been killed,” said Brown. This program comes after what Brown calls a steady increase of fatalities where drivers were not buckled up. In 2016, six people died while not wearing their seat beat; the year before, five and in 2014, three. The department is taking action by increasing traffic patrols September through December, giving warnings to seat belt offenders. “It does occur with some regularity that you pull somebody over and you see them quickly reach back,” commented Lt. Kyle Williams with the Bedford County Sheriff’s Office. Bumper stickers, yard signs and banners are also available at the sheriff’s office. Brown said he’s hoping ‘Buckle Up Live Better’ spreads. 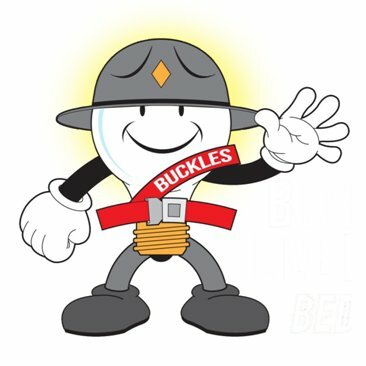 BULB is a National Highway Traffic Safety Administration program and is free for the sheriff’s office. NHTSA provided $12,000 for BULB signs and logos.